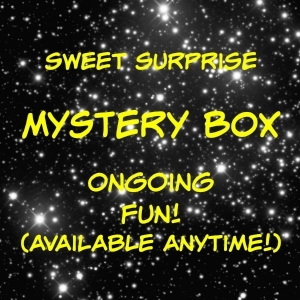 Sweet Surprise Mystery Box - Ongoing Fun! Order anytime! Not limited. You pick your price level! 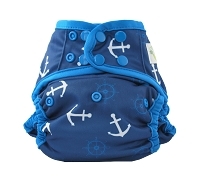 The intention of this box is to introduce you to great cloth diapering and other items from our store and of course, surprise you! 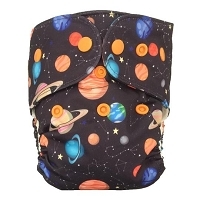 Each Mystery box will contain a combination of diapering items and surprise accessories (or other items from our store) depending on how much you choose to spend. The value of the box will be at what you pay for it plus at least 10% more. For example, if you select the $20 box, the value of the items in the box will be at least $22 dollars. All Sweet Surprise boxes will ship for free to any address in the US. Please note, Sweet Surprise boxes cannot be returned or exchanged. You may put special requests in the notes such as: the gender of the baby you’re buying for, or maybe you don’t want any diapering items. You could write “accessories only” or maybe you’d just like some mama/gift type items too. That’s totally fine! If you’ve ever shopped with us during Black Friday or times when we give out freebies, you know that we are very thoughtful when it comes selecting items to include in fluffy packages. i receved 1 cloth diaper & 1 pair of leg warmers. i am verry happy with what i receved & the leg warmers fit well & are long enough for my daughter to wear for a wile. I love surprise boxes, and My Sweet Pickles did not disappoint! I ordered the smallest box for $20 and received an adorable cloth diaper and 3 extra accessories that were perfect for our family. I will be ordering again! I found MSP a little over two years ago and ordered sweet surprises for my youngest son that I was pregnant with at the time. I am now pregnant with a little girl and got my first mystery package today for her. I paid $20 and received well over that amount in items. I have never regretted buying a Sweet Surprise package from MSP, because they are loaded with value and great products! The shipping has always been quick and I have had great experience with customer service over the years! I loved my mystery box! I asked for things to help this pregnant mama relax and I got all the things! I even found a new brand, Lusa Organics that I am in love with. Thank you MSP for amazing customer service and products!